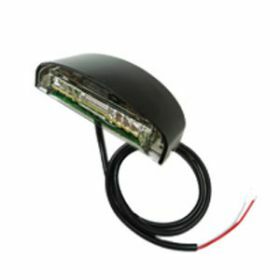 Minimum quantity for "LUCIDITY LED NUMBER PLATE LAMP MULTIVOLT" is 1. LED LICENCE PLATE LAMP WITH BLACK HOUSING. MULTIVOLTAGE. 90MM X 46MM X H31MM.